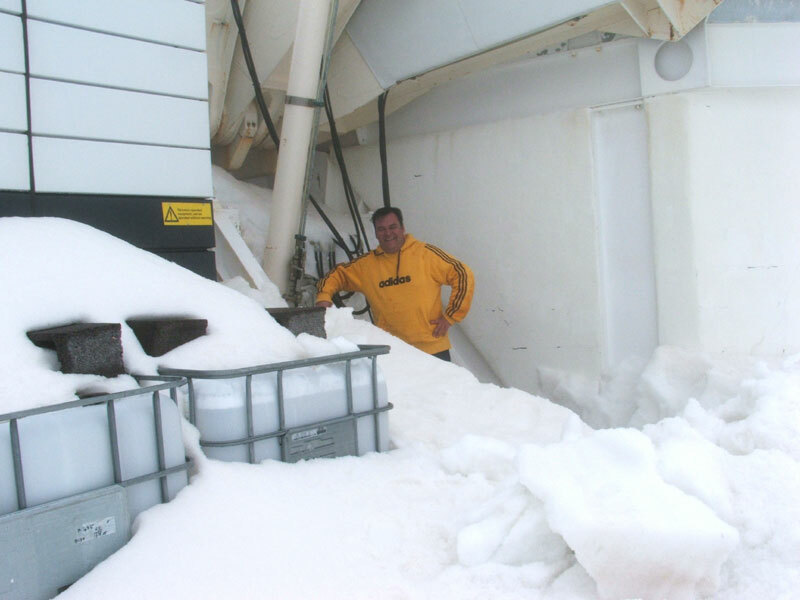 Dirk Raback digs the telescope out of the snow. © 2007 Dirk Raback. Thanks to heroic efforts by site personnel, the ice that blocked operation of the enclosure shutters has been cleared away, just in time for the weather to clear. Shutter movement has been tested this afternoon and all looks well. Therefore, weather permitting, we should be able to observe tonight.